The sixth edition of the cardiovascular (CV) summit, an educational platform for healthcare practitioners to engage in a robust discussion on the current trends in cardiovascular disease and its management, organised by Pfizer NEAR (Nigeria and East Africa Region) kicked off yesterday. The 2013 edition has the theme ‘’Preventive Strategies for Cardiovascular Diseases’’ features both foreign and local distinguished resource persons who are highly respected in their field of practice. A statement yesterday, signed by Mrs Margaret Olele, Director Communications, Pfizer, said that the summit has witnessed growing popularity among healthcare professionals. In 2011, the CV summit was endorsed by the medical and Dental Council of Nigeria as a continuous professional development (CPD) program provider for the award of class medical education (CME) points to attending clinicians. In a bid to continuously improve the outlook of the summit, a scientific advisory board composed of seasoned professionals spanning various field of cardiovascular medicine was inaugurated in March, last year, to oversee the content and conduct of the CV summit. The summit is part of Pfizer contribution to the advancement of medicl knowledge and patient care in Nigeria and East Africa Region. This further exemplifies the commitment of Pfizer to world class medical education, capacity building and excellence in service to the Nigerian Health Sector. According to Olele, Pfizer’s corporate social responbility (CSR) recognises the rising burden/incidence of cardiovascular diseases in the country and is consistently working with key stakeholders through free screenings, medical education and trainings for HCPS and public awareness. 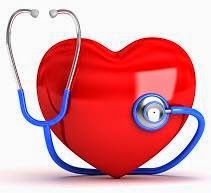 Cardiovascular screening project involves the free CV medical screening of the general public and it addresses the growing concern of cardiovascular diseases in Africa. The screenings are held in pharmacies, hospitals, non –government agencies, and corporate establishment and also in partnership with health care institutions. It covers health parameters like blood pressure, glucose and cholesterol. Pfizer conducted free screenings for about 20,000 persons since 2010. Pfizer in partnership with stakeholders in healthcare sector have conducted screenings at major teaching hospitals and general hospitals like Lagos University teaching Hospital (LUTH), university of Port Harcourt Teaching Hospital (UPTH) and University College (UCH) to increase awareness of disease conditions and appropriate management of the condition. This story was published in Newswatch Times on August 1, 2013.